Concrete Restoration Systems provides comprehensive, reliable solutions for restoring and protecting concrete. 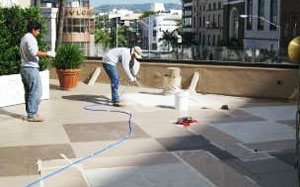 Our Orange County concrete repair and waterproofing services include epoxy crack injection, decorative concrete repair, foundation repair, historical building restoration, earthquake damage repair, below-grade waterproofing, and more. Over the last 28 years, we've served thousands of satisfied residential, commercial, and industrial clients throughout Anaheim, Fountain Valley, Santa Ana, Newport Beach, San Clemente, and surrounding areas. 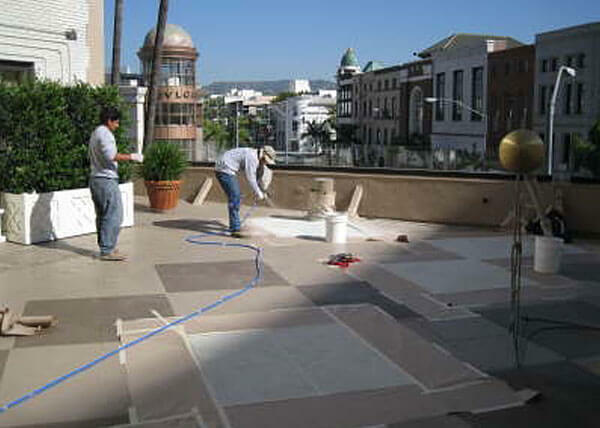 As a result, we've earned a reputation as the best value in concrete restoration and waterproofing in Southern California. We are certified by the industry's leading manufactures and undergo continuous training to stay up-to-date on the latest products and application techniques. Call (714) 996-3177 today to schedule a free consultation for concrete restoration, repair, and/or waterproofing in Fountain Valley, Santa Ana, Anaheim, Newport Beach, San Clemente, or other nearby area. When we arrive on site we'll assess the extent of your concrete damage and give you honest recommendations with an upfront, detailed estimate. 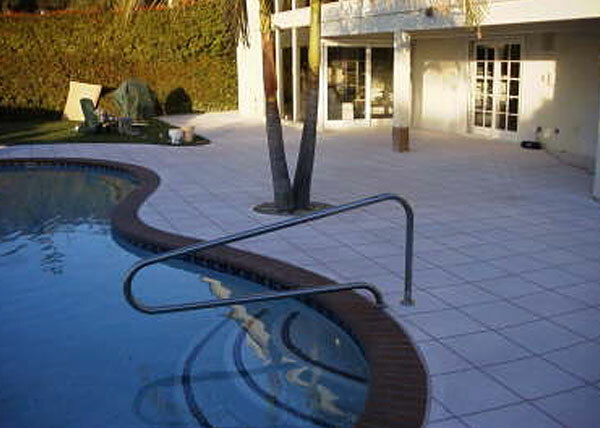 Concrete Restoration Systems is a fully licensed and insured speciality contractor with decades of experience repairing, restoring, and waterproofing concrete surfaces throughout Southern California. All jobs are supervised by our experienced foreman to ensure that our customers receive excellent service and lasting results, and we are committed to providing competitive rates. Whether you have a small concrete repair or require rebar replacement and new concrete, we always recommend finishing with the installation of a concrete waterproofing system to provide protection from future water damage. Call today for a free consultation on concrete repair services in Newport Beach, Fountain Valley, Santa Ana, Anaheim, San Clemente, or any other city in Orange County. Concrete is a very hard material, making it an ideal choice for many construction projects, but it's compressive-nature makes it susceptible to cracking due when movement or expansion occurs. Structural concrete damage can be caused by severe weather patterns, earthquakes, ground settling, poor construction, and years of wear and tear. Concrete Restoration Systems has decades of experience providing structural damage repair to residential, commercial, and industrial properties throughout Orange County and thousands of satisfied clients. Whether you have a cracked foundation beneath your home or a deteriorating block wall on your industrial building, our team of concrete repair experts has a solution for you. When we arrive on-site, we'll assess the damage and clearly explain our proposed services in order to give you long-lasting, reliable results. We provide comprehensive structural damage repair services including treating or replacing corroded rebar, epoxy crack injection, patching holes with fresh concrete, and waterproofing application for protection from future damage. 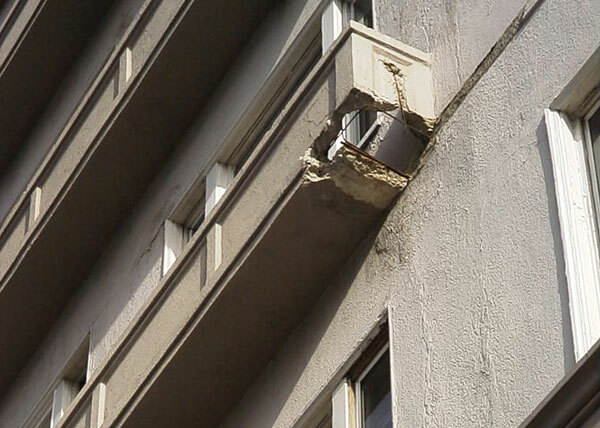 Additionally, we can repair any decorative or non-structural concrete elements, such as deteriorating facades, spalling balconies and railing, cracked statues and gargoyles, and more. Call today to obtain a free on-site consultation regarding your needs for structural concrete damage repair in Santa Ana, Anaheim, Newport Beach, Fountain Valley, San Clemente, or other Orange County city. 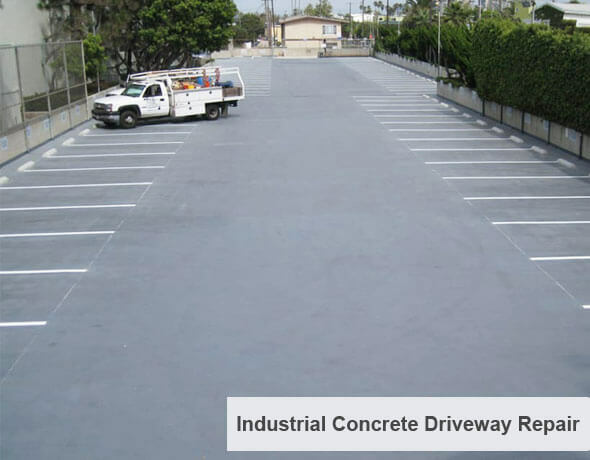 Concrete Restoration Systems is proud to offer its residential, commercial, and industrial clients in Anaheim, Santa Ana, Newport Beach, San Clemente, and Fountain Valley with professional concrete restoration services at very reasonable rates. We have the expertise to repair and restore all types of concrete surfaces, including floors, walls, patios, decorative elements, and more, and specialize in historic building restoration. We believe in honest business practices and always strive to provide our clients with true value by delivering exceptional, long-lasting results. The goal with every concrete restoration project is to repair the underlying damage and restore the structure's strength, stability, and appearance. 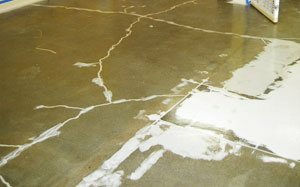 We offer comprehensive concrete restoration services from rebar replacement to epoxy crack injection to buffing and waterproofing. 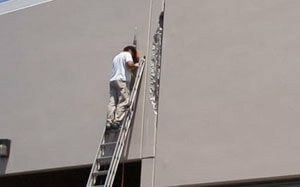 We offer free on-site consultation for concrete restoration projects anywhere in Orange County. 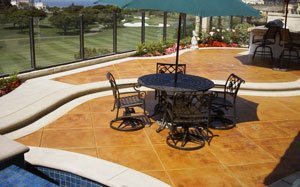 We have over 28 years of experience providing Orange County clients with expert decorative concrete coatings and repairs. We use high-quality decorative coating systems and undergo continuous training to ensure that we implement the latest application techniques. 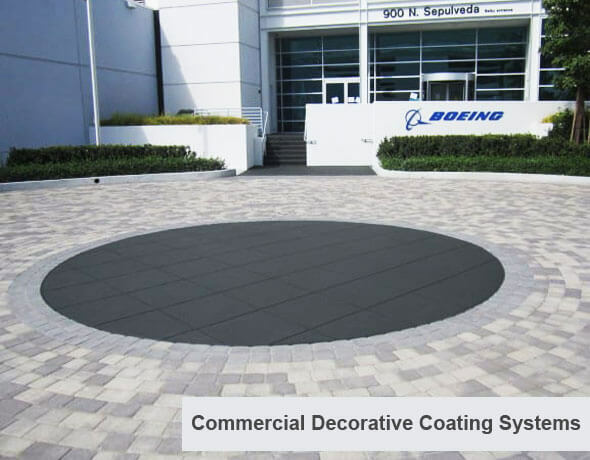 We offer decorative concrete coatings in a variety of colors, stains, and faux finishes, such as tile, brick, and stone. Whether you want a simple colored concrete driveway, a stunning and easy-to-maintain garage floor, or an elaborately designed pool deck, Concrete Restoration Systems has a solution for you. Concrete Restoration Systems offers the best value in wood and concrete waterproofing to Anaheim, Santa Ana, Fountain Valley, Newport Beach, and San Clemente, home and business owners. 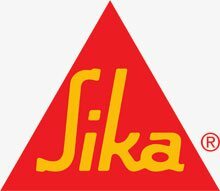 We are a licensed specialty contractor and approved applicators for Sika, SealBoss, WestCoat, and Master Builders Solutions by BASF, the industry's most reputable manufacturers of wood and concrete waterproofing technologies. Our professionally installed waterproofing systems provide excellent protection from costly water damage, which is one of the key culprits for premature deterioration and structural instability in concrete as well as rotting and warping in wood structures. When you hire Concrete Restoration Systems you'll receive exceptional results and long-lasting protection at competitive rates. Our waterproofing services are suitable for any concrete or wood surface including basements, warehouse floors, pool decks, driveways, walkways, parking structures, wood decks, support beams, and more. Call us today to discuss your waterproofing needs and schedule a free on-site consultation. Exceeded my expectations. I had a major slab crack that needed repair before my wood flooring could be installed. Tom (president) personally inspected and bid the project . . .